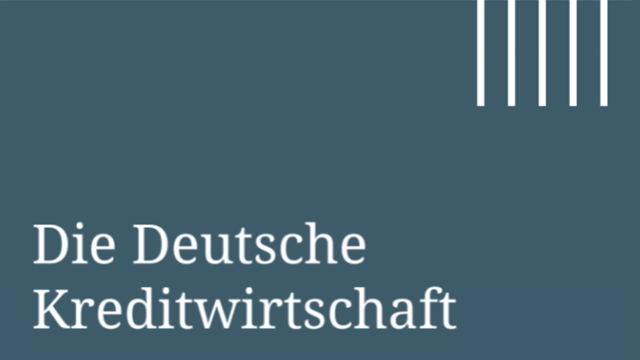 Stellungnahme DK zu "On the conditions for assessing the materiality of extensions and changes of internal approaches when calculating own funds requirements for credit, market and operational risk"
The draft RTS is based on three different mandates under the CRR. However, the individual draft RTS shall be submitted to the EU Commission on different dates. Whilst the date scheduled for the IRBA is the 31 December 2013, the draft RTS for AMA and IMA will only have to be submitted on 31 December 2014. We welcome the joint preparation of an RTS since it is an attempt to avoid inconsistencies between the requirements for the various internal approaches and seeks to ensure the promulgation of harmonized rules. However, there is no compulsory need for the requirements on the various model classes to come into effect on the very same point in time. In our understanding, the EBA seeks to comply with the European legislator's intents and purposes. Hence, we feel it is appropriate to refrain from scheduling an earlier effective date for the IMA and AMA. Notwithstanding the foregoing, a joint submission to the EU Commission can still take place as per 31 December 2013. The list of the model changes appears to be extremely comprehensive. As a consequence, compared to the present policy, more likely than not, there will be a sharp increase of model changes that require approval by or have to be reported to the supervisory authorities. In order to ensure high quality internal approaches, there is a regular need for timely adjustments. The current proposals would jeopardise this. The proposed new rules will render the process more complex and also drive up costs considerably for institutions as well as for supervisors. The regulatory scope should not cover changes aimed at remedying shortcomings identified by the authorities during their audit of internal approaches. Furthermore, over and above the policies laid down, upon identification of any spontaneous problems in terms of the internal approaches it should be within the supervisor’s own vested interest to be able to agree a fast-track procedure with the respective bank on a bilateral basis.